At Christmas, we celebrate when God became human, in what we call the incarnation. But could God really enter this world as a human? As Christians, we believe that God did indeed enter our messed up world, as a man – the man Jesus Christ. That Jesus was a man is not really disputable. The primary documents about Him, found in the Bible, says that he was born of a woman, which in itself tells us that at least in a prenatal state he was nurtured and formed as any other male baby was and is. His genealogical line is given and He grew into maturity as any young Jewish boy did. His birth was messy, just as any child’s birth was 2000 years ago, let alone all that was going on behind the scenes! With his humanity, and being fully human, Jesus exhibited normal human emotions such as love, happiness, joy, laughter, weeping, sadness, anger and anguish. Jesus ate and drank. Jesus grew tired. Jesus slept, perspired and bled. Jesus died just as all humans do. Religiously, he worshipped as a Jew. Not only these facts, but the 4 ‘biographies’ or gospels written about him acknowledge his humanity. He was human in every way that we are - physically, mentally and emotionally. The only exception to this, is that he was sinless. Yet we must ask, could Jesus have sinned? Yes he was tempted just as we are, but could Jesus really have succumbed to temptation? We must conclude that while he could have sinned, it was certain he would not and did not. For if He had sinned, he would have been in need of a saviour Himself! And that of course, is an untenable position. Let us now look at some of the major errors or heresies mad ein history concerning the humanity of Jesus. Ebionite - Jewish heresy. Jesus was a man who received divine power at His baptism. Docetist - believed that the material world was evil (Common Greek & Eastern idea). So Jesus could not have had a real body, He only appeared to be human, denying His deity. Apollinarian - taught that Christ had a human body and soul, but that His spirit was divine. Denies the humanity of Christ. Nestorian - 5th Century. Denied the union of the divine and human natures in Christ. Christ became 2 people (man and God) in one body. Eutychian - 5th Century. Mixed divine and human natures to create a third type of person. The human nature was absorbed into the divine. Sadly though, even in some parts of the church today, these errors and heresies are repeated. The Jesus of history was fully human, just as he was also fully God – and that’s what we will look at next time. Just A Good Moral Teacher? One thing that a lot of people say about Jesus, even those who are not Christian, is that he was a good moral teacher. The ancient Greek philosopher Socrates offered, “how we ought to live”, as a working definition of ‘moral‘. As I said, people often say, even those who would claim to be following Jesus, say that Jesus was simply a good moral teacher – and that’s all he was. Today we seek to discover if Jesus was a good moral teacher? If he was, did Jesus teach and does it reflect a good way to live? Finally, we will look briefly at if he was more than just a good moral teacher – as some claim! Jesus’ moral code, revolving as it would have done around the part of the Bible we call the Old Testament, can be seen in “do to others, what you would have them do to you, for this sums up the Law and the Prophets.” Some people refer to this as the “Golden Rule“. However, Jesus, as ever goes further than anybody else and says that it is not only the outward actions of a person that makes them morally good, it is also the internal attitude behind it. Jesus was acknowledged as a great teacher often during his lifetime. One example is Nicodemus in John 3. Let’s have a brief reading of some of his moral teaching. and after he sat down, his disciples came to him. Those words are from what is generally called the “The Sermon on the Mount”. Jesus also said “Love your neighbour as yourself”. “Love your enemies, not just your friends” That is a world-turning morality! He forgave people their sin, but also told people not to continue in their sin – such as the woman caught in adultery and dragged before Him in by the teachers of the law, to whom Jesus said “neither do I condemn you,” Jesus declared. “Go now and leave your life of sin.” John 8:1-11. Jesus not only taught great morality, but he lived his morality! That is part of his uniqueness and set him apart from others! In Jesus’ Sermon on the Mount, people today hold it as a paragon of virtuous teaching and regard Jesus as a great teacher. Although, this is the best-known teaching of Jesus, it is also the least understood, and certainly the least obeyed. Whilst some may see The Sermon on the Mount as a call to peaceful demonstration against provocation, this was never Jesus intention regarding this teaching. It is as somebody once said “a picture of God’s alternative society… containing the standards, the values and priorities of God’s Kingdom”. It was this that Jesus spoke in the Sermon, not as a general guideline for people to wallow in comfort and boundless joy. Jesus was a good moral teacher, certainly at least to his followers, but was he more than this? Jesus Christ of Nazareth, was certainly more than a good moral teacher! As Christians we believe that His purpose for coming was to rescue this world from the mess it is in! That is why God became human in Jesus Christ. Our next study looks at Jesus being fully human and that will be followed by Jesus being fully God – and why it is so! 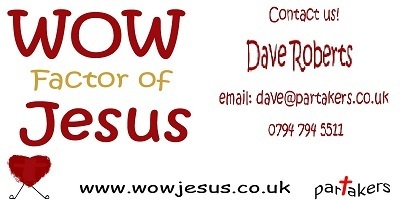 Today we are going to ask ourselves, in relation to Jesus, What’s in a name? I wonder what your name means. Parents usually name their children after the hopes and aspirations they have for that child. For example, the name John means “the gift of God”. I know somebody called Grace, and her nature is that of somebody full of grace. My name of David means “beloved” and when my parents named me, it was meant to symbolize the love they had for me. But what does the name Jesus mean? When Jesus was born, his very name imbued the reason he was born. The name Jesus as we discovered in an earlier message means “Saviour” or “One who saves or rescues.” The entirety of His birth, life and death was centered on this very role - saving and rescuing all those who would believe, receive and follow Him. We have seen in the testimony of the Apostles John, Peter and Paul how Jesus came to save sinners, to call people to follow, believe and receive Himself! This Jesus who proclaimed He was the only way to God! Jesus’ conception and birth were extraordinary at every level. So important is our understanding of his birth that, according to the Gospel accounts, no fewer than 4 angels came to give a full picture of the event. Do you think that his parents, Joseph & Mary, ever gazed upon him, and thought “How misnamed He is”! They did not, because they knew the very purpose for which He was born. JC Ryle, the great 19th century Anglican bishop of Liverpool, once wrote these words about the name of Jesus “Jesus is a very encouraging name to weighted-down sinners. He, who is the King of kings and the Lord of lords, might lawfully have taken some more high-sounding title. But He does not do so. The rulers of this world have often called themselves great, conquerors, bold, magnificent, and the like. The Son of God is content to call Himself Saviour. Those seeking salvation may draw near to the Father with boldness, and have access with confidence through Christ. It is His role and His delight to show mercy. "For God didn't send his Son into the world to judge the world, but that the world should be saved through him" (John 3:17). Jesus is a name, which is especially sweet and precious to believers. It has often done them good. It has given them what money cannot buy - that is, inward peace. It has eased their wearied consciences and given rest to their heavy hearts. The Song of Solomon describes the experience of many, when it says, "Your name is oil poured forth" (Song of Solomon 1:3). Happy is the person who trusts not merely in vague notions of God's mercy and goodness, but in "Jesus." Jesus was proclaimed by the Apostle John, Apostle Peter, the Apostle Paul and the early church as the Saviour and rescuer of the world – just as his name Jesus means! I am bound to ask you this: "Is Jesus your Saviour and rescuer? Are you following, believing and receiving Him?" Because as the Apostle Paul acknowledges in Philippians 2:9-11 "Therefore God exalted him to the highest place and gave him the name that is above every name, that at the name of Jesus every knee should bow, in heaven and on earth and under the earth, and every tongue acknowledge that Jesus Christ is Lord, to the glory of God the Father." 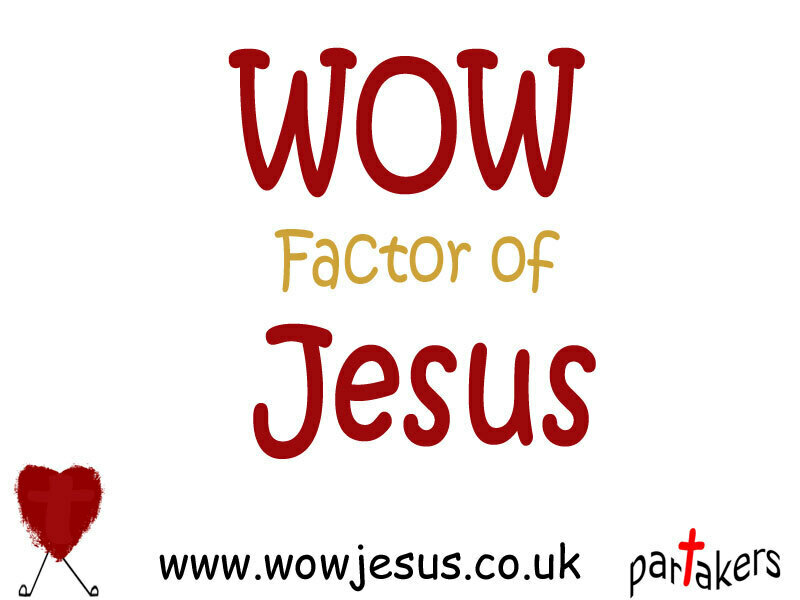 Today we are going to look at Paul’s Jesus. Paul, who as a Pharisee was known as Saul. Paul who became a follower of Jesus, after encountering him on the road to Damascus. Paul who describes himself as the least of the apostles, former persecutor of the church and the foremost of sinners. Because Paul chose to follow, believe in and receive Jesus Christ, most of the New Testament was written by this man and he sought to serve his master, Jesus Christ. For Paul’s life and ministry, we have much to be thankful to God! But what can we briefly learn about Jesus from Paul? Reading Colossians 1:15-20 - The Son is the image of the invisible God, the firstborn over all creation. For in him all things were created: things in heaven and on earth, visible and invisible, whether thrones or powers or rulers or authorities; all things have been created through him and for him. He is before all things, and in him all things hold together. And he is the head of the body, the church; he is the beginning and the firstborn from among the dead, so that in everything he might have the supremacy. For God was pleased to have all his fullness dwell in him, and through him to reconcile to himself all things, whether things on earth or things in heaven, by making peace through his blood, shed on the cross. Now reading 1 Timothy 1:12-17 - I am grateful to Christ Jesus our Lord, who has strengthened me, because he judged me faithful and appointed me to his service, even though I was formerly a blasphemer, a persecutor, and a man of violence. But I received mercy because I had acted ignorantly in unbelief, and the grace of our Lord overflowed for me with the faith and love that are in Christ Jesus. The saying is sure and worthy of full acceptance, that Christ Jesus came into the world to save sinners—of whom I am the foremost. But for that very reason I received mercy, so that in me, as the foremost, Jesus Christ might display the utmost patience, making me an example to those who would come to believe in him for eternal life. To the King of the ages, immortal, invisible, the only God, be honour and glory for ever and ever. Amen. Here Paul reveals his relationship with Jesus! Jesus has given and shown Paul the wonders of Gods’ mercy, grace, faith and love! That’s why Paul has been appointed into service by Jesus, despite Paul’s past which included violence, blasphemy against God and persecuting the church – the body of whom Jesus is the head, the wisdom and guide! This Jesus has made Paul clean and renewed him! This Jesus strengthens Paul to be in active service for God – and because of that we get most of the New Testament! The only reason Paul can do what he does, is because it is Jesus who has anointed and appointed him to God’s service, sustains, guides and protects him! This Jesus, who with inexhaustible patience uses Paul as an living testimony to help others come to follow, believe and receive Jesus Christ. This Jesus, whose purpose was to save sinners – such as Paul who confesses that he is the supreme example of a sinner – and give everlasting life. Lastly, Paul overflows with praise for Jesus, describing him as immortal, invisible and only God and giving Him alone the glory and honour! May that be so in your life, your church and in the life of the church worldwide! Today we are going to look at another person who was one of Jesus’ closest friends – the man we know as the Apostle Peter. Peter, whose name was originally Simon, but given the name Peter, by Jesus (Matthew 16:18). Peter, the great Apostle and some say the greatest Apostle! With John and James, one of the three people closest to Jesus and had seen Jesus transfigured and glowing with glory on the Mount of Transfiguration! Peter, a fisherman, was commanded to go with Jesus with the simple words “Follow me, and I will make you fish for people!” Peter, who several times was rebuked by Jesus. Peter, who was the first disciple to confess Jesus as the Christ – the long waited for Messiah! Peter, who had watched his friend, Jesus, executed. Peter, who with the other disciples, went into hiding after Jesus’ death on the cross. Peter, who publicly denied three times ever knowing Jesus of Nazareth. Peter, who showed his love of Jesus of Nazareth – having given up everything to follow, believe and receive Him. Here in this speech recorded in Acts 2, we see the Jesus of the Apostle Peter! This Jesus of Nazareth who was attested by many witnesses, even His enemies, to have done great signs and works of wonder – things like healing the sick, speaking words of wisdom, raising Lazarus from the dead and forgiving sins! How could Jesus of Nazareth do these wondrous miracles? Because Jesus of Nazareth, was empowered by the Holy Spirit! That’s how he could do those things! What’s more, despite all these wondrous actions of Jesus, which were attested as being of, and from, God; Jesus of Nazareth was killed like a common criminal, by people willing to break the law to achieve it. But, that was all part of God’s perfect plan – not only for Jesus but also for humanity – because God raised Jesus from the death to show that death was powerless to contain him! Remember what the name “Jesus” means? More about that in a later study! Unlike the mighty King David who was buried in a tomb, Jesus was free, raised up and ascended to sit at the right hand of the Father! Following His ascension, Jesus is seated at the right hand of the Father! From there comes the third member of the Trinity, the Holy Spirit, to indwell and empower all those who proclaim to be followers of Jesus of Nazareth, having believed and received Him as Lord and Master. This Jesus, undefeated by death, now proclaimed to be both Lord and Messiah!! WOW! So not only was Jesus attested to be the long awaited for Messiah, but he was also the supreme director of all peoples – Jew and Gentile – and all created things! Peter has given evidence of Jesus’ resurrection, ascension, exaltation and glorification! All things are under the power of Jesus of Nazareth. It was the resurrection of Jesus and subsequent infilling and empowerment by the Holy Spirit which turned Peter and the other followers of Jesus, from quivering cowards into a dynamic people we know as the early church. Oh how the Church today needs to rely on the Holy Spirit for power, wisdom and guidance rather than it sometimes does on mere human power, wisdom and guidance. John1:1-18 - In the beginning was the Word, and the Word was with God, and the Word was God. He was in the beginning with God. All things came into being through him, and without him not one thing came into being. What has come into being in him was life, and the life was the light of all people. The light shines in the darkness, and the darkness did not overcome it. There was a man sent from God, whose name was John. He came as a witness to testify to the light, so that all might believe through him. He himself was not the light, but he came to testify to the light. He was the true light that enlightens everyone coming into the world. He was in the world, and the world came into being through him; yet the world did not know him. He came to what was his own home, and his own people did not accept him. But to all who received him, who believed in his name, he gave power to become children of God, who were born of God, not of blood or of the will of the flesh or of the will of man. And the Word became flesh and lived among us, and we have seen his glory, the glory as of a Father’s only Son, full of grace and truth. (John testified to him and cried out, ‘This was he of whom I said, “He who comes after me ranks ahead of me because he was before me.”’) From his fullness we have all received, grace upon grace. The law indeed was given through Moses; grace and truth came through Jesus Christ. No one has ever seen God. It is God the only Son, who is close to the Father’s heart and bosom, who has made him known. Here is the aged Apostle John, writing his Gospel after Jesus’ earthly life has finished and he has ascending back to God the Father. John was one of Jesus’ three closest friends – Peter and James being the other two. He had been on the Mount of Transfiguration, and saw the transfigured Jesus shining in glory, conversing with Elijah and Moses and heard God the Father declare that He was pleased with His beloved son, Jesus (Luke 9:28-36). So here in John 1, John reflects some of that! Look at how Jesus is described by John! Jesus is the Word – whereby John means that just as our words explain our thoughts to others, so Jesus was sent to the earth as a human, to reveal the very mind of God the Father to a world in darkness. John goes on, that though the world is in darkness, Jesus is the Light! Jesus is the Light who is also the Truth and full of grace and truth! Jesus is the creator of all things and is Almighty in power and wisdom! This Jesus, the God-man, as the creator of all things, is the only one perfectly capable of redeeming and saving the world from darkness. WOW! Jesus, John writes excitably, is God the only Son, close to the heart of, and revealing God the Father to a world in darkness. John describes Jesus as the Almighty God who became man, in order to give those people who received and believed in Him, the power to become children of God through mercy and unbounded grace. 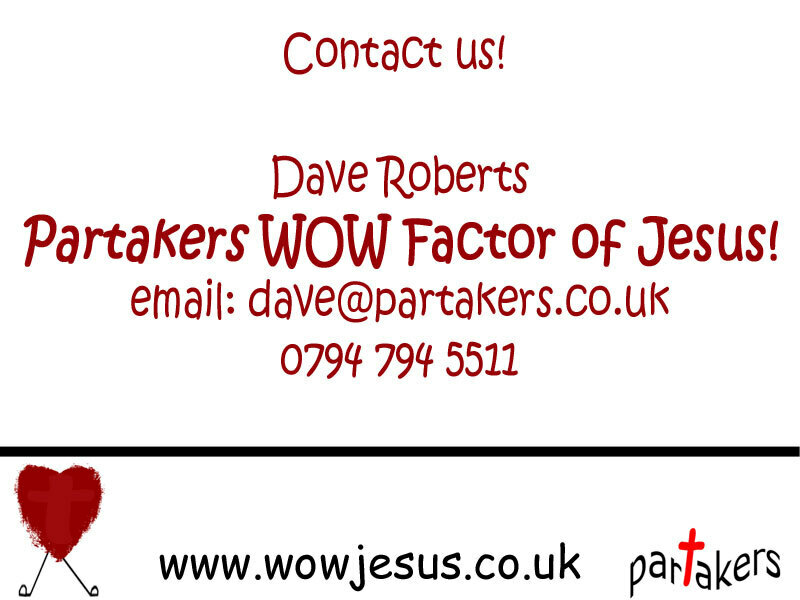 Yet more – so that people could come to know God personally (John 1:18)! WOW! That is the Apostle John’s Jesus! Luke 1:26-38 - In the sixth month the angel Gabriel was sent by God to a town in Galilee called Nazareth, to a virgin engaged to a man whose name was Joseph, of the house of David. The virgin’s name was Mary. And he came to her and said, ‘Greetings, favoured one! The Lord is with you. Blessed are you among women.’ But she was much perplexed by his words and pondered what sort of greeting this might be. The angel said to her, ‘Do not be afraid, Mary, for you have found favour with God. And now, you will conceive in your womb and bear a son, and you will name him Jesus. He will be great, and will be called the Son of the Most High, and the Lord God will give to him the throne of his ancestor David. He will reign over the house of Jacob for ever, and of his kingdom there will be no end.’ Mary said to the angel, ‘How can this be, since I am a virgin? I do not know a man’ The angel said to her, ‘The Holy Spirit will come upon you, and the power of the Most High will overshadow you; therefore the child to be born of you will be holy; he will be called Son of God. And now, your relative Elizabeth in her old age has also conceived a son; and this is the sixth month for her who was said to be barren. For nothing will be impossible with God.’ Then Mary said, ‘Here am I, the servant of the Lord; let it be with me according to your word.’ Then the angel departed from her. In those days Mary set out and went with haste to a Judean town in the hill country, where she entered the house of Zechariah and greeted Elizabeth. When Elizabeth heard Mary’s greeting, the child leapt in her womb. And Elizabeth was filled with the Holy Spirit and exclaimed with a loud cry, ‘Blessed are you among women, and blessed is the fruit of your womb. We see here in this passage from the Gospel of Luke, Mary discovering things about the child the angel Gabriel has decreed will be hers, conceived by God in her. Let’s look at them together. The first thing we learn about Mary’s forthcoming child, is that Jesus will be his name! It is another form of the name Joshua and his name means that he will be a saviour or a rescuer! But more about that in a later study! Then the angel builds up the metaphors about this Jesus! This Jesus will be great! This Jesus, whom you will bear, will be called the Son of the Most High! WOW! Even more, this Jesus will be given the throne of Israel’s greatest King, that of mighty King David! WOW! This Jesus will be a holy King, reigning over an everlasting kingdom! WOW! This Jesus will also be called the Son of God! This Jesus is God! Then when Mary goes to see her cousin, Elizabeth declares the child as the blessed fruit of Mary! This child will not only be God, but also human! Again, two further studies to come in this series – Jesus’ divinity and Jesus’ humanity. Mary, in great humility and commitment, accepts the assignment to be the bearer and mother of Jesus, the long awaited for Saviour. 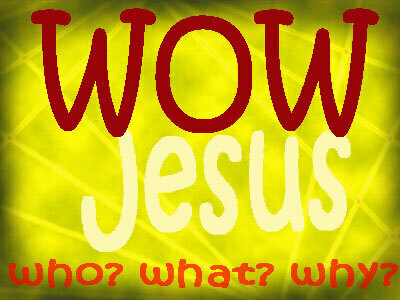 In this new series, Jesus WOW, we are going to look at Jesus Christ - who he was & is, what he is and why he matters... In this first post, we look at the Old Testament. In some parts of the church they use as part of their Christmas worship, these seven O Antiphons. Each one, addresses Jesus Christ using a Messianic title drawn from prophecy in the Old Testament, looking back to the birth of the Saviour-Messiah. If you read the acrostic backwards, the initials of each title in Latin form the words “Ero Cras” or "Tomorrow I shall be (with you)", looking forward to when Jesus comes back again. Let us look together at these seven Old Testament titles of Jesus. Wisdom, you came forth from the mouth of the Most High God. You fill the universe and hold all things together in a strong yet gentle manner: you came to teach us the way of truth. Isaiah 28:29 This also comes forth from the Lord Almighty, Who is wonderful in plan, and excellent in wisdom! Ruler of the house of Israel, who appeared to Moses in the burning bush, and gave him the Law on Sinai, you came to redeem us with outstretched arms! Isaiah 11:4-5 He will give justice to the poor and make fair decisions for the exploited. The earth will shake at the force of his word, and one breath from his mouth will destroy the wicked. He will wear righteousness like a belt and truth like an undergarment. Root of Jesse, who stands as an ensign to the peoples, at whom kings stand silent and whom the gentiles seek: you came to free us! Malachi 5:1-5 - You, Bethlehem Ephrathah, are too small to be included among Judah's cities. Yet, from you Israel's future ruler will come for me. His origins go back to the distant past, to days long ago. That is why the Lord will abandon Israel until the time a mother has a child. Then the rest of the Lord's people will return to the people of Israel. The child will become the shepherd of his flock. He will lead them with the strength of the Lord, with the majestic name of the Lord his God. They will live in safety because his greatness will reach the ends of the earth. This man will be their peace. Jeremiah 23:5-6 - "For the time is coming," says the Lord, "when I will raise up a righteous branch from King David's line, a root of Jesse. He will be a King who rules with wisdom. He will do what is just and right throughout the land. And this will be his name: 'The Lord Is Our Righteousness.' In that day Judah will be saved, and Israel will live in safety. Key of David, and Sceptre of the house of Israel, who opens and no one shuts, who shuts, and no one opens, you came to free from prison, those who sit in darkness and the shadow of death. Isaiah 9:6 For a child is born to us, a son is given to us. The government will rest on his shoulders. And he will be called: Wonderful, Counselor, Mighty God, Everlasting Father, Prince of Peace. Isaiah 22:21-22 21 I will dress him in your royal robes and will give him your title and your authority. And he will be a father to the people of Jerusalem and Judah. I will give him the key to the house of David-the highest position in the royal court. When he opens doors, no one will be able to close them; when he closes doors, no one will be able to open them. Malachi 4:2 - "But for you who fear my name, the Sun of Righteousness will rise with healing in his wings. And you will go free, leaping with joy like calves let out to pasture. Zechariah 6:12-13 Then say to him, 'This is what the Lord of Armies says: Here is the man whose name is Branch. He will branch out from where he is, and he will rebuild the Lord's temple. He will rebuild the Lord's temple and receive royal honor. He will sit and rule from his throne. He will be a priest on his throne. There will be a peaceful understanding between them. Genesis 2:7 Then the Lord God formed the man from the dust of the earth and blew the breath of life into his nostrils. The man became a living being. Isaiah 7:13-14 - Isaiah said, "Listen well, you royal family of David! Isn't it enough to exhaust human patience? Must you exhaust the patience of my God as well? All right then, the Lord himself will give you the sign. Look! The virgin will conceive a child! She will give birth to a son and will call him Immanuel (which means 'God is with us').